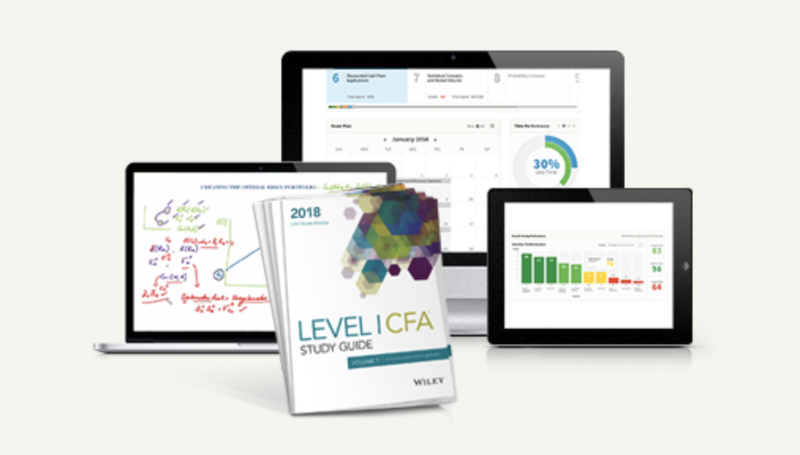 The 2 most significant obstacles you’ll face on your quest toward earning the Chartered Financial Analyst (CFA) charter are the CFA exam and the work experience requirement. The CFA exam contains 3 increasingly difficult levels and can take several years to complete, so it’s clearly a challenge. Additionally, the CFA work experience requirement is also quite strict. Learning more about the CFA exam pass rates helps you understand the nature of the CFA exam. But, for now, we’ll focus on the CFA work experience requirement. So, we’ll explain the qualifications for CFA-approved work experience and provide tips for proving you have such experience. CFA candidates must prove that they have 4 years of work experience before they can earn the CFA charter. According to the CFA Institute (CFAI), a person must spend at least 50% of their work experience involved in the investment decision-making process and in work that informs or adds value to this process. Furthermore, work experience should pertain to evaluating or applying financial, economic, and/or statistical data as part of the investment decision-making process. Additionally, work experience counts toward this requirement if candidates supervise employees who conduct the activities above. Lastly, your work experience does not have to be continuous so long as you have 48 months of combined work experience. But, the work still has to be relevant, of course. Also, many candidates are thankful for the fact that the CFAI is not going to second-guess any employment gaps on their resume or CV. However, it is important to note that both the CFAI and local CFA society to which you are applying need to approve your work experience. It is a supervisory role of someone involved in investment decision-making. It is a teaching position addressing related subjects. 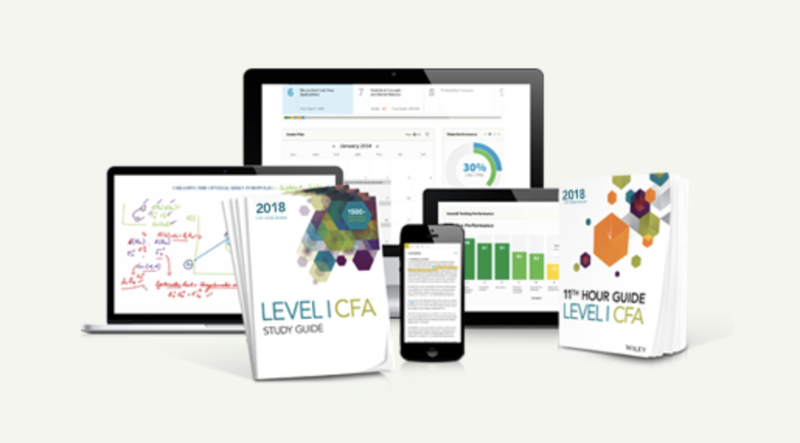 As a CFA candidate, you must have at least 4 years of relevant working experience, which can be gained before, during, or after you pass the CFA exam. However, only full-time positions count toward this work experience requirement. For this reason, part-time positions or internships don’t count. And, non-professional experience (e.g., managing you or your family’s investment portfolios) also can’t satisfy the requirement. What’s more, the Institute even provides examples of acceptable and unacceptable descriptions. Why It’s Good 1. The applicant describes the types of independent analysis involved in this position. 2. The applicant creates financial models and investment recommendations as work products that influence investment decisions. The applicant describes the types of independent analysis involved in this position. What It’s Missing Nothing! This is a good description of qualifying work experience. This applicant needs to better demonstrate how the analysis created a work product that added value to the investment decision-making process. So, is there a way to verify your work experience before you take the CFA exam? Yes, having your work experience verified beforehand is possible. Consequently, this process varies depending on the number of years of experience that you have. In this case, the CFAI can validate your experience prior to your passing the exam as long as you are a member. Therefore, in order to become a CFA member, you can either pass Level 1 or pass the Standards of Practice Exam. You can take this exam online and receive your results immediately. For candidates in this position, the CFAI provides an online self-assessment tool that helps evaluate the relevancy of your work experience. It doesn’t spit out a definite yes or no answer, but it does give you a good indication of your status and reveals how you can work towards fulfilling the requirements. If you hold the title of research analyst, portfolio manager, or any of the other position labels listed above, then you are all set. A couple of standard descriptions of your role will be acceptable. However, you must objectively outline the ways in which your role facilitated the decision-making process. That’s because the CFAI may reject vague and incomplete job descriptions that do not show this contribution, even if your role was that of a financial analyst. In some cases, a job title says a great deal about the nature of your role. But in others, it doesn’t explain your duties and obligations nearly enough. Therefore, if your job title is vague, it could betray the relevancy of your work. So, you must shift your attention toward the activities associated with your position instead. The job description section is very important to the CFA Institute. For this reason, you should find it equally important because it affords the opportunity to illustrate that the function of your job is perfectly relevant even if the nature of your job isn’t. So, as you’re crafting your job description, focus first on the work that fits the CFA criteria: that is, anything directly related to investment decision-making. Also, you should specifically highlight the duties that closely relate to the Learning Outcome Statements (LOSs) of the CFA exam. We suggest referring to the Level 3 exam LOSs in particular. Then, write about the indirectly related responsibilities, such as how the work supports and adds value to investment decisions. For example, you should mention the research and analysis you did for clients or your team. So, think creatively about how you’ve been helping your colleagues in their work. Because your goal is relevancy, you should leave out other non-related tasks. By doing so, you can minimize the noise and distractions that irrelevant work may create. So, for this reason, you don’t need to list everything you do. The CFAI focuses only on your relevant work experience. Just to be clear, managing your own investment portfolio is not permissible as CFA-approved work experience. Approved work has to be full-time. Consequently, part-time jobs and internships don’t qualify regardless of how glamorous or pertinent the work was. Additionally, the CFAI also asks you to submit 3 professional references. Or, you can submit just 2 if one of them is a CFA society member. For this reason, getting a society member to write the reference helps your case considerably. Ideally, this person is your supervisor or, at the very least, someone with whom you work professionally. For some CFA candidates, acquiring the work experience the CFAI requires is the most difficult part in the entire CFA process. So, how can you get this experience? You can obtain all the CFA job experience you need by following these steps. The fact that you are actively taking the CFA exam or have passed the CFA exam shows potential employers that you are committed to a job in finance even if you don’t have any previous finance job experience. For this reason, you should include your CFA exam status on your resume. Then, you can add details about your CFA exam experience as appropriate (e.g., how many sections you have passed, where you are in the process, etc.). A front office position in which you aid traders in the decision-making process is a great first step towards a long-term career in finance. And, what’s more, this job totally counts toward the CFA work experience requirement. Additionally, other jobs you may want to consider are middle and back office jobs as well as research positions. In order to land any of these roles, you must ensure that your resume demonstrates your analytical and evaluation skills. So, consider providing employers with concrete examples of how you’ve applied these skills in the past. Until you’ve landed a finance job that will enable you to meet the CFA experience requirement, you should network every day you can. You’ll need to make finding a finance job your top priority, especially if you’ve never had one before. Consequently, the more work and dedication you put into finding this job, the more likely you’ll be to get one that’s both a good fit for you and meets the experience requirement. Does the CFAI ever deny an application due to a lack of relevant experience? Yes. Denying an application is common if the applicant fails to state clearly how at least 50% of their role involves investment decision-making. Do I stand a chance if I work in operations or another middle/back office in a financial institution? Possibly, if you work toward developing new products that add to the investment decision-making process. But if you instead work in an administrative position (e.g., managing employees who process the payroll), your work experience would meet the requirement. Therefore, working in operations or the middle/back office of a financial institution is an example of a borderline case. In these scenarios, spinning the job description the right way is even more critical. However, we do have readers who earned the CFA charter with a back-office role, so it is possible. What happens if the CFAI denies my application again? You will be classified as an affiliate member with a “charter pending” status. Then, from this position, you can enjoy all the benefits of CFAI membership except the right to vote. From there, you can work towards getting into a role where your duties directly affect the decision-making process. Then, reapply after reaching the 48-month requirement. Good luck! We hope this analysis gives you a better idea of how you can fulfill the CFA work experience requirements. So, please let us know if you have any questions. Or, continue to learn more about the exam by discovering what the Level 1 exam covers, getting answers to CFA exam FAQs, or reading our recommendations for the best CFA study materials. Up Next: What Exactly Does Level 1 Exam Cover? I’m on the fence about this. I think you could package this experience so it would apply; however, you won’t know until you send in your application. I would do that and see what the CFAI says. Hmm I am not sure to be honest. It’s best to check with the CFAI? I passed all the CFA exams and working as a Mortgage Specialist for the last 4 years. Please let me know if my experience will count. If I work for 4 yrs in this field and clear the exams, will I be able to get CFA charter from institute? If this is not sufficient, what should I do in order to get my charter? Hi Sachin, audit is listed above. I believe you are fine but when you fill in the application, make sure you put an effort in writing a good job description. I hope you reply to this. I am currently a Bank Regulator/Examiner. I am reponsible for conducting oversight of key risk areas within the Banking Sector and performing financial anlysis. Would this count toward relevant experience. I’ve been getting conflicting reports. I know the site includes “Regulator” but what type of regulation are they referring to. I am working as an audit Intern since 2 months can i opt doing CFA Since i only dreamed of doing it so as to complete a degree in my entire life!! I am 21 years old. Can you guide me on what should i do!!?? Hello, a bit of time has passed since you posted this comment. Do you still need advice? I hold a MBA (finance ) & m working in private sector bank in India. Is this sufficient for required work experience for CFA. I am a working professional and my profile is basically in the field of audit and accounts. Is this kind of profile OK to get CFA charter..
Hi Prashant, sure it’s fine, but by getting a CFA it implies you want a change of career from accounting to finance. There are jobs that value accounting and finance qualifications, e.g. CFO in a hedge fund, but it’s worth thinking about your career before jumping in. i have the required work experience and the CFA Institute has already verified it and accepted me as a “regular” member. I am sitting for the Level III exam in June. Assuming I pass, will I be a CFA Charterholder the day I receive my exam results, or is there some additional granting/awarding step for which I need to wait? Hi Matt, sounds good to me. financial advisory falls into one of their designated categories. If you can craft a job description that shows at least 50% of the time spent is on decision making, you are all set. John. In the Experience Field it says, he candidate should have at least 4 hours of relevant working experience. I think its a typing mistake or is it really 4 hours and not 4 years? The relevant jobs include Consultant. I am a SAP consultant dealing in a non-finance module so does this consultant experiences count towards the CFA experience? Sorry, 4 hour is definitely a typo! Will fix that. Well, consultant is included in the list but I guess it depends the nature of consultation work. Does it involve investment decision making? You are expected to pay at least half the time doing that. Thanks for the information…..can u please resolve few queries or provide the link where i can find further information about CFA….thank u.
hi I am currently studying a program in Mathematics of Finance , in South Africa , and it will take me 4 years will this help ? I’m not sure that it will help w/ experience requirements, unless you meant something else? Double check with the CFA Institute if this question is regarding meeting the experience requirements.